After the buzz of chainsaws has died down, the Estacada Timber Festival will feature the sounds of three musical groups. 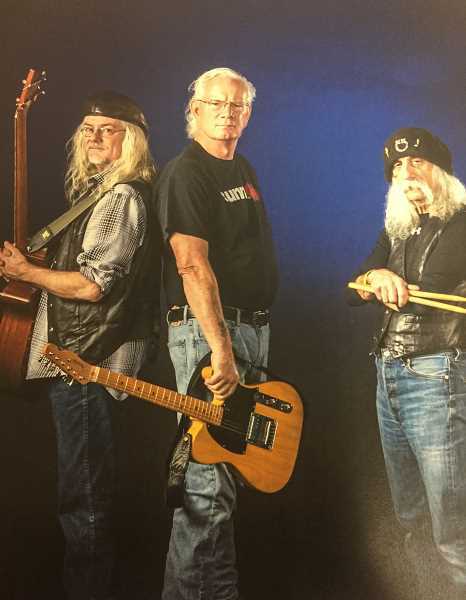 During the event on Wednesday, July 4, the Ron Carnes Band, O'Brother and Thunder Road will take the stage, each with their own unique repertoire. "We're eclectic. We play everything from Freddy Fender to Boz Scaggs to Carlos Santana," Bob Ferranti of the Estacada-based O'Brother said. "We're versatile. It won't just be like the song you heard five minutes ago." Ferranti plays drums and vocals and is joined by Steve Williams on guitar and vocals, Scotty Bickford on bass guitar and vocals, Bobby Helton on guitar and vocals and Bill Hestor on keyboard and vocals. Danny Thompson with Thunder Road, describes the group as "a variety band. We play everything. We do a whole lot of stuff." Thunder Road is Thompson on bass guitar, Lea Hankins on vocals, Levi Wall on guitar, Greg Stilwell on drums and Paul Jones on guitar, viola and violin. The group has members from Portland, Salem, McMinnville and Goldendale, Wash.
Ron Carnes of the Estacada-based Ron Carnes Band noted that it's helpful to have a broad song-list when playing in rural areas. "If you're in Portland, you play at rock bars or blues bars, but when you're playing in more rural areas, you have to have a little more diverse song selection," he explained. The group consists of Carnes on guitar and vocals, Danny Jubb on bass guitar and vocals and Steve Willette on drums. Carnes said they most often play rock or blues numbers, citing their influences as Stevie Ray Vaughan, Jimi Hendrix, Eric Clapton and Mark Knopfler. "We'll take familiar songs and change them to be in our style. We'll do our own versions of the songs for our rock trio," he added. Ferranti noted that influences for O'Brother include Carlos Santana, Merle Haggard and Brother Phelps. "(We like playing) something that's catchy and that's got a hook," he said. Thompson said that Thunder Road embraces the variety of songs they play. "We like everything we do so much. We do so much I don't think we can settle on one thing," he said. All three groups are looking forward to playing at the Timber Festival. ing forward to being a part of it." "I haven't been before, but I've heard about it for years," said Thompson. "It will be great to go." Ferranti is eager to connect with audiences at the event. are out there singing with you." "The energy is multiplied by the people who are enjoying (the music)," he said. "Playing and having people enjoy it is the coolest thing ever. It creates more energy than any other way. I find it fascinating to do that."